I turned the camera on while we were doing our morning basket today at the park in our marina. The sea gulls were really loud. I couldn’t hear everything in the footage. It didn’t matter. I watched all three pieces. It made me realized how much the Lord is blessing our little family. The picture I had before me was magnificent! Filled with joy laughter, freedom. Filled with His love, mercy and grace. How thankful I am to be able to fulfill my promises to God to raise them unto the Lord! Watching the footage also showed me some of my children’s own quirks from a new lens. I got to see how they were holding their pencils, how their posture was, what distracted them during read aloud times, and more. It also made me realize how smooth school can run with just a simple change of scenery. We all need that sometimes. And I’m so happy winter hibernation is over! The sun was out and it was a beautiful hot day. It lifted my mood for the whole rest of the day. I think I was even more productive due to my change in mood. Sunshine, fresh air, chasing toddlers in the breeze. It’s all so needed. And sometimes it can be hard to come by in the winter. Watching today’s most important events made me realize how much I need to keep doing this with my children. It has forced be to see how important it is that I put it high on our list of priorities. We weren’t just making family memories, spending time outside, or homeschooling. Most importantly, we were dwelling in God’s word as a family. In the future, I hope to intentionally add more moments like these to our home school day. The highest priority we parents have is to raise our children to love the Lord. I want the experience of diving into the Word to be among their favorites. May they think back this time of fellowship with fondness and joy as they reflect on how their relationship with the Savior began! The Lord has brought our family through very unique circumstances and living situations in the past decade. I would be outright lying to say that it has all been easy sunshine and roses. We have had our fair share of trials. We have struggled in ways that the average middle-class American has not had to deal with. We’ve struggled through difficult living situations, problems with family members and so-called friends, outright poverty, and more. However, I wouldn’t have changed a bit of it given the choice. Each trial, each challenge, journey, and chapter in our lives has brought us to where we are today. And, most importantly, they have brought us to who we are in Christ. 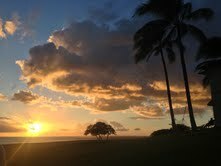 Divine circumstances beyond our control had led us to living on our 29′ sailing vessel in Hawaii. I had a strange contentment about this sudden and drastic change in our lives. From the outside looking in, no one was able to understand. God had led us through enough in our married life together for me to have an assuring certainty of God’s sovereign will over our lives. As it turned out, He used that time in our lives to yet again draw closer to Him. Furthermore, He used that time to help us to grow closer together as a family and to minister to those in need around us (both physically and spiritually). We were able to feed the hungry, clothe the naked, and show the love of Christ through prayer, Bible studies, and fellowship. God used that time in our lives as a way to teach us how to become more powerful disciples for His glory. It seemed that when we didn’t know how we would take care of our own family, the inexplicable answer was to feed His sheep first. The more we poured out to others, the more poured into that tiny vessel. Which brings me to my main point: our plans for the future. My husband and I firmly believe that we were brought through that unique time in our lives to prepare us for what is to come. The idea came to him quite some time ago and has slowly been forming into solid plans as God opens doors and introduces us to friends who love the Lord and even more unique possibilities. God has given us a passion for the sea. And our passion is His passion. There are many persecuted Christians throughout the world who could benefit from a sailing vessel that could transport them to safety. There are many countries who could benefit from transportation of goods across waters to provide relief from natural disasters. There are various places where Bibles are illegal, but docking a boat would not require a customs search. Until then, we will be doing all we can to help those in need where we are. I cant wait to see what God brings about in the next chapter! My husband I have been in contact with some friends in Liberty County, Texas that are in need of immediate supplies. We are so grateful Houston is getting help but there are so many more places around that are in need, and it appears Red Cross can not reach them all. The local churches are housing persons that are displaced. – baby items (formula, diapers etc.). My husband will be transporting these items today and several other weekends, to Liberty County, Texas. We have spent much of our free time this week and all of yesterday preparing. Please consider donating funds so we can purchase as many items possible. And please, even if you can’t make a donation at this time, never underestimate the power of prayer! * ALL funds will go entirely towards these items which will be distributed to those in need in Liberty County. 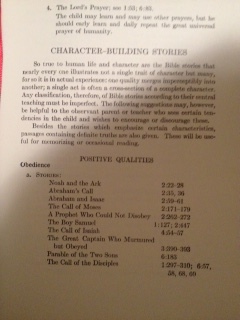 I’m so happy with the Bible lessons I’ve been doing with my children each morning! I was going for easy planning this year along with something that was budget-friendly (On A Dime, right?). While I really love the A Beka Book Bible series, they were not a cost-effective option for us this school year. I also wanted something that was a little more involved with my children instead of having them sit still and listen to a lesson. I’ve pieced together a few different ideas that seem to be going really well for our little ones (ages 4 and almost 7). By having a few different valid options on hand for us, I can easily hold a study with them with minimal planning and a high interest level. 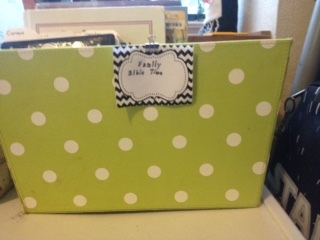 This year, I’ve kept the planning to a minimum using my handy Bible bin, but that doesn’t mean I’m going shallow. I try and use my Bible first (sometimes that’s all I use) and only read from the children’s versions if I feel they aren’t understanding or sometimes just to add interest. We open with a prayer and I begin each morning by going through our current memory verses. I found this AMAZING video on how to keep them all organized. I’m so glad this idea came to me when it did! 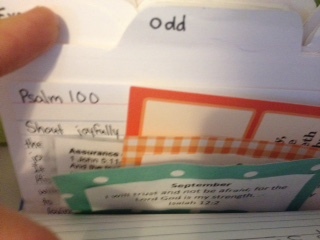 Our organizer holds the A Beka memory verse cards, their AWANA memory verses, Sunday school verses, and the verses my husband and I are learning in our 2:7 group. This system ensures they are getting the proper amount of time on each of their verses while not overloading them with ALL of them EVERY morning. I encourage you to check out the video here. I made ours using an old pocket planer sleeve. 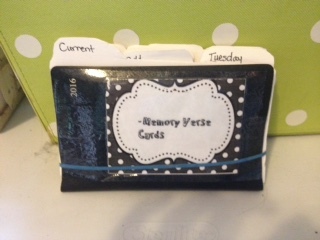 I used larger index cards for the dividers and a rubber band holds it into place.The treasure boxes have helped us so much with our memory verses too. 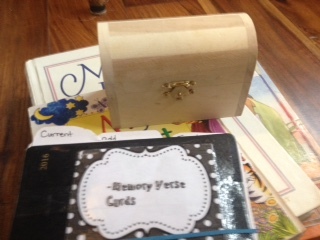 My daughter got a treasure box at the beginning of the month with a little gem in it for completing her memory verse at Sunday school. As soon as I saw it, I knew we would have to continue the tradition! I read Psalm 119:11 to them the next morning, “Your word I have treasured in my heart, That I may not sin against You.” They (especially my youngest) are actually working hard each day to earn the “treasures”. I give them a button to hold in their very own treasure chest each time I’m convinced they have really hidden it in their heart. I place their initials on the back of each card to tell me who has already earned their treasure. Next, I pick a “lesson plan”. Yes, usually I pick it right then and there (unless there is a specific character trait or topic I have planned out specifically for a child or particular situation). 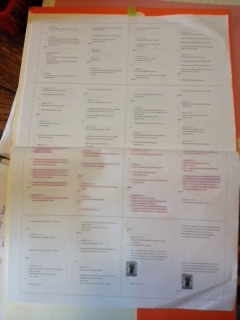 As I stated above, I have the free Easy Peasy lesson plans printed out and placed in a folder for a quick reference. To save on space (and paper and ink), I printed them with four per one side of the page. 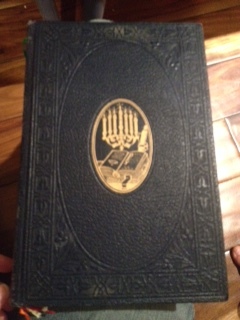 I can glance at it and know right where to turn in the Bible. When I’m done, I highlight that particular lesson so that I know where we are next time I choose this reading route. I will warn you: If you use this guide by the letter, these are going to be a bit watered down discussions and you will not get the amount of engagement you are seeking. I use this as more of an outline of what to study with them rather than using it as a word-for-word guide. I like this especially for days when we’ve gotten up later than usual (or when they’re scarfing down breakfast abnormally fast), because we can get some content and interest flowing without necessarily spending a lot of time on it. Some days I need that. Other days, however, it takes me by surprise. I’ve had days where the one inch really spoke to me. I’ve also experienced times when a child will take it to the next level asking really thought provoking things about it. Gotta love when that happens! 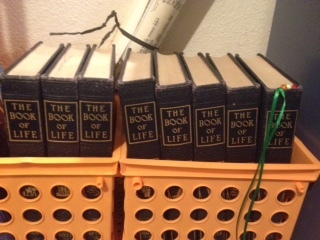 As I also mentioned above, we have a series of eight hardcover books entitled “The Book of Life”. It’s an older series created using the unabridged King James version of the Bible categorized and in the form of classical picture books. I found the set at a flea market I recently attended and I talked the vendor down to just $36! I just finished the teacher’s guide and it is AMAZING! It’s a great outline of how to engage your child in bible study. It has fun activities, ideal verses for memorization, beautiful art, timelines, and it even has a full list of positive and negative character traits emphasized in individual Bible stories. It is a book set that I will use for probably the next decade or so. This series really made me rethink the way that we educate children (in general and in the Bible) today compared to how wholesome, in-depth, and quality it used to be. I HIGHLY recommend this book set. If you can’t find the whole set, get AT LEAST volume 8. You won’t regret it! I don’t intend on using this the as my most frequent of choices right away, but more as a way to expose them to the King James language a little bit through needed character studies. I will also be using it for referencing in art, timelines, and more. 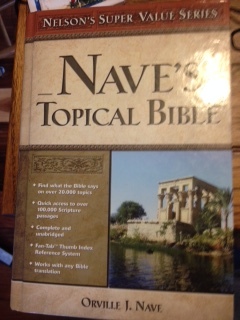 Nave’s Topical Bible will also help me with character traits. It’s useful for when I want to into greater detail on a topic we are already in the process of talking about too. We almost always read something from one of the picture Bibles just for fun. And sometimes I’ll throw in a free printable I find online. Once in a while, I’m even able to sneak a memory verse into copy work later in the day. What home school mom doesn’t love a two-for-one deal?! What do you do for your quiet time? Any suggestions for our family on a no-to-low budget and minimal planning? I’d love to hear from you! This is one of my favorites in a new line of youtube Bible studies I’ve been following. Very in-depth and raw. I love it when people are not afraid to speak the truth. Even when it may offend others. Some can relate to these topics especially in relation to new believers and those struggling to believe because of how they may feel about the hypocrisy growing ever so common in the church today. Let me know what your thoughts are! How many of us can honestly say we are content? And if you do indeed feel content, and your circumstances change for the worse, can you still be content? I’m not referring to being able to cheer up when you get down.I’m not talking about feeling good at the present moment.I’m certainly not talking about living in the moment. I’m speaking of a inner peace and certainty that all will be for His best, even if it isn’t necessarily what you would have chosen as your own personal best. We’ve all had an idealistic daydream at one point or another: having that perfect American dream house or car, early retirement, perfect children who don’t make messes, tell lies or tell you no, or perhaps even perfect health. But the fact is that we live in a fallen, poverty stricken, greed ridden, filthy world. You can’t have it all- not in this life. And God designed it perfectly that way. Far too often I find people teaching God’s word with the “health and wealth” mentality. I’m not sure where this line of logic originated. Maybe from the temporal-minded sudo-reality that everything has it’s own natural consequences? Yes, if you touch a hot stove your hand will burn and it will hurt. But what about your next door neighbor (we’ll call him Phil) who just got laid off from his job- that job that he worked harder than any other for- the one he’s been hard at work in for the past decade? Better yet, how about his family whose livelihood and whole world turned suddenly upside-down because of a corporate decision? Did Phil just get too close to the stove and get burned? Maybe, but he must have gotten pretty close for his children to get burned, too. Maybe there was something we don’t know about that was between him and God that he is reaping the consequences from, but then again, maybe he is a modern-day Job. Remember, Job was God’s chosen vessel, an elect among elects. God gave Satan permission to take away all his riches, children, and wealth. God gave Job the honor of proving his faithfulness in this life. I’m not saying that we are meant to meander through and not take anything from our tribulations; I think we can and should glean life-lessons from The Most High given any situation, positive or negative. Maybe God is allowing those things to happen to him as a blessing for the betterment of His Kingdom. How could such a horrible circumstance be viewed as a blessing? Remember the tree of the knowledge of good and evil referred to in Genisis 2 and 3? One of the things that I find so fascinating about it is that our Creator knew that if we were to truly understand good, there had to be an opposite. The bad is put here on this earth- in this short chapter of our existence- to wake us up to how good our Father in Heaven really is. If our reality is to have the good life for our whole life, how could we ever honestly be thankful for it? I’ve been in tough circumstances on and off throughout my life. Ones that weren’t in my picture-perfect daydreams. Ones that have caused me to look to the Heavens and cry out asking, “WHY? !” or even, “What have I done to cause this kind of pain?” I’ve had way harder emotional and spiritual battles, but speaking from a strictly physical sense, most of my struggles were not as challenging as what I am going through right now. So what’s the difference? I have learned over the years to be content with what I have. I have learned to see everything that passes as a part of His purpose and plan for me. I know that ultimately, and temporally, I am in the best of hands! It is my hope and prayer today that those in similar situations can let go of the earthly in every sense and know that the suffering that comes in this life is a blessing, not a curse. It is a ray of hope, not a shadow of darkness, because it doesn’t matter what kind of a dark hole we find ourselves in, we have the lamp of Christ shining within each of us! I can finally rest on and be content with that. Can you?